WASHINGTON (Sputnik) - The US Department of State will continue to work closely with the Department of Defense to ensure the success of the final phase of Operation Roundup in Syria, spokesperson Heather Nauert said in a press briefing. "The State Department will continue to work closely with our Department of Defense colleagues to ensure the success of this operation," Nauert told reporters on Tuesday. Earlier in the day, the International Coalition for Operation Inherent Resolve announced that the US-backed Syrian Democratic Forces had launched an offensive against the remaining members of the Daesh terror group who are operating in northeast Syria. The goal of Operation Roundup is to clear the last remaining Islamic State-held pockets in the city of Hajin in the Abu Kamal district and in the Dayr Az Zawr countryside east of the Euphrates River. Operation Roundup began on May 1. The first phase of the mission successfully eliminated the Daesh near Baghuz in northeastern Syria on May 15. Phase two cleared the DAesh from Dashisha, Syria on July 20. Nauert said the State Department will also continue to work with coalition partners to support initiatives that enable Syrians to voluntarily and safely return to their homes to prevent the reemergence of the terrorist threat in the region. Meanwhile, Heather Nauert said at a press briefing that the Syrian and Russian governments create risky conditions for the non-governmental White Helmets group by continuing to accuse them of malign activities in Syria. 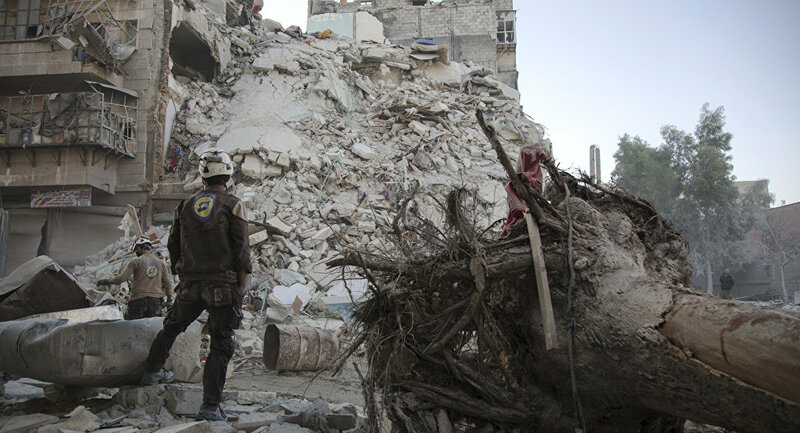 "The Assad regime and Russia continue to falsely accuse the White Helmets through a massive disinformation campaign leaving its volunteers at significant risk," Nauert told reporters on Tuesday. The United States and the international community continue to support the work of the White Helmets, Nauert said. Earlier on Tuesday, Syrian human rights activist Ammar Jamal told Sputnik that a group of 30 White Helmets members arrived from Turkey to the Syrian province of Idlib to organize a provocation by staging the use of chemical weapons. Damascus and Moscow have accused militants and the White Helmets of staging several provocations involving chemical weapons to influence public opinion and justify foreign intervention in Syria.